Vaginal Birth | PELV-ICE LLC. The most common method of delivery is through vaginal birth. Two in three babies in the United States are birthed this way because for most women the pros of delivering vaginally outweigh the cons of delivering via surgery. This is not true for every woman, however, and knowing all the options available and discussing them with a doctor or midwife ahead of time can reduce complications for mom and baby. A vaginal delivery without advance knowledge of any complications is often preferred because it is viewed as the most natural way of having a baby. This is true in part for several reasons that benefit the both mother and baby. First, physiologically speaking, while delivering vaginally hormones and mucus from the baby’s lungs are literally squeezed out. The release of mucus helps open a baby’s lungs, reducing breathing problems during their first few months. Additionally, hormones such as oxytocin and prolactin increase during labor, which assist in practical changes like the softening of a cervix for dilation, but are also regarded as the “love drug” that promotes bonding between mother and baby. The production of these hormones during labor also assists in the production of milk, and without having undergone surgery, a mother is typically able to breastfeed faster. There are risks associated with vaginal delivery that vary from person to person. Unique situations such as pre-eclampsia, diabetes, a large fetus (particularly for women with a smaller pelvis), and infections like HIV or genital herpes that can be passed along during delivery are factors that many should take into account when devising their birth plan with a trusted medical provider. While these instances could effect the mother as well as the baby, the possibility of tearing of the perineum, genital prolapse, and weakened muscles of the pelvic floor are all things moms should be aware of prior to delivery. 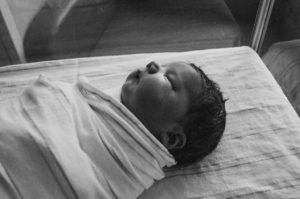 All birth plans are as unique as the women creating them, and respect should be given to whichever makes the most sense for a mom and her baby. How should women prepare for a vaginal delivery?